Wow, this is so creative! I don't even play Magic or any other card game, but this is just really, really cool. I love how the models are poring out of the card art to fight each other. It's like what every Magic player imagines happening when they play. The choice of models is fantastic as well. Life versus death is a classic match up but there is just something so unique and creative about how this was done. It could have been a simple model or two but this hobbyist went the extra mile and really piled the minis in to create a sense of chaos and battle. It evokes a certain craziness and claustrophobia. The paint job is fantastic as well. It's very smooth and crisp and the color choices really complement the models. The dryads are vibrant and alive with very saturated colors while the skeletons are very grey and dry looking. 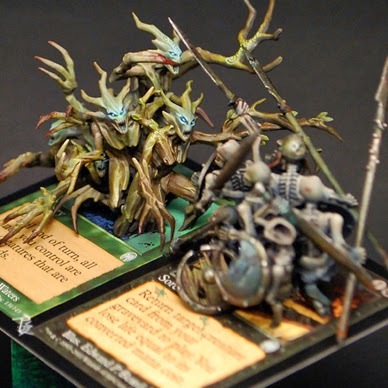 I'm glad he painted the dryads with greens like they are saplings instead of the typical browns. Everything about this diorama is fantastic and I don't know what more I can really say about it. It's great to see two hobbies converge like this in such a creative way. 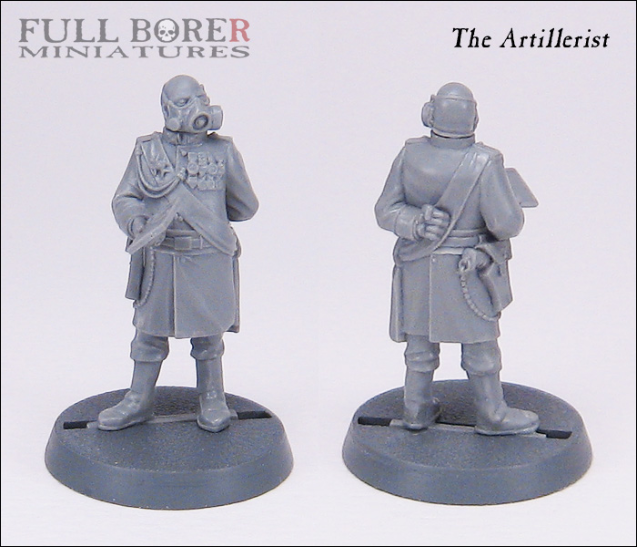 In other news, Mengel Miniatures has a new sponsor, Full Borer Miniatures. You can check out their web store by clicking on the ad up near the top of the page. 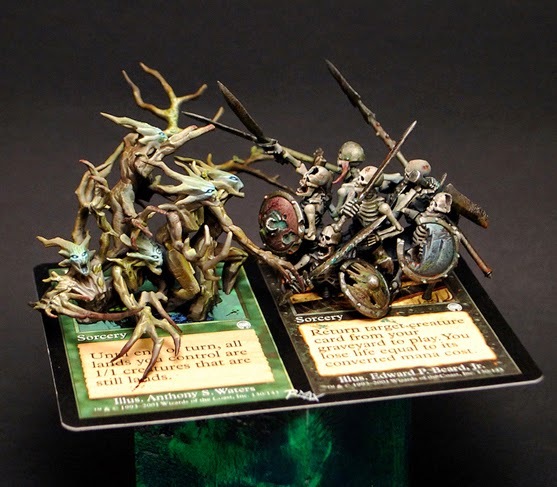 They make some fantastic unique resin miniatures that work great for 40K, Fantasy, or any other game system. All of these models have been sculpted by Slayer Sword winner Chris Borer! This guy is my favorite, has a definite Steel Legion feel to it. 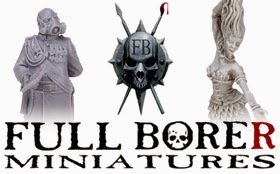 Full Borer Miniatures is also home to Black Swan Miniatures, the producer of the Plague Base I reviewed last time. That model is of course sculpted by yet another Slayer Sword winner, Todd Swanson. You can't go wrong when you have TWO Slayer Sword winners working together.